Contributions from friends like you support every element of what makes the Atlas thrive. Our mission is to bring people together through the arts to expand the reach and strengthen the bonds of our community. 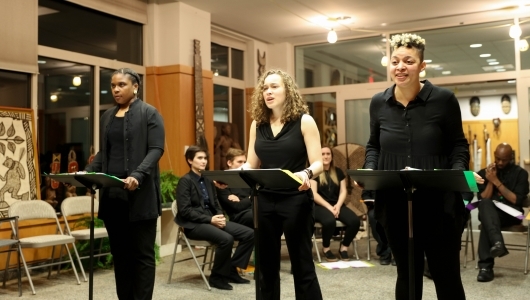 We provide shared space in a creative environment that inspires exceptional performances, events, and initiatives that enlighten, entertain, and reflect the best of the arts and our humanity. Your general operating support goes a long way. You can also designate to a specific program by using the menu to the left. Many employers will match donations made by their employers to non-profit organizations. Check with your employer to see if you can double your impact when you give to the Atlas Performing Arts Center. Amazon Smile: Amazon donates 0.5% of the price of your eligible Amazon Smile purchases to the Atlas. Click here for our Amazon Account . Combined Federal Campaign: Give through your employer and the Combined Federal Campaign. Our CFC number is 89282. Contact the Development Office by calling Director of Development, Pascale-Emmanuelle Nouama at 202-399-7993 ext.109. 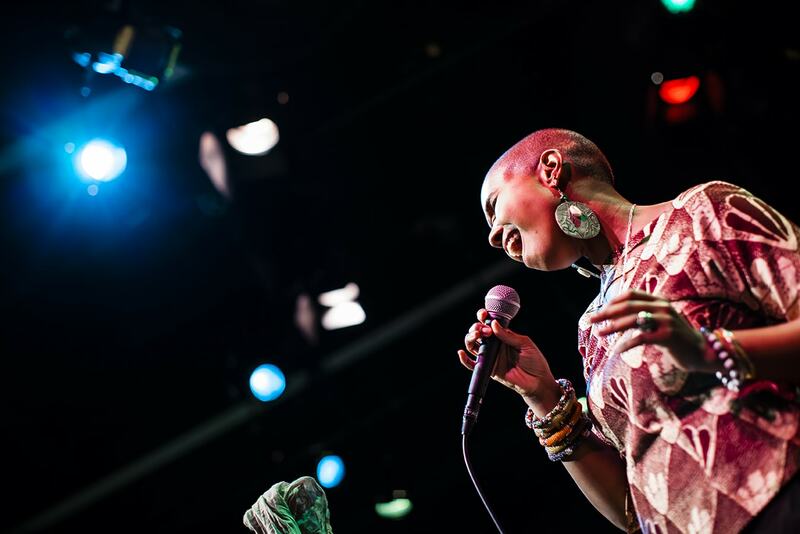 Our Atlas Presents series connects audiences to diverse and engaging contemporary music from jazz and world sounds. We present film in honor of our heritage including features, documentaries and silent films with live musical accompaniment. Your donation will directly impact art making, helping to offset artist fees and production costs for all Atlas Presents initiatives and presentations. City at Peace is a youth development program rooted in social justice for teens and young adults ages 14-24, which provides a safe, collaborative and nurturing space outside of school and other environments where they can examine issues and conditions that divide them. City at Peace uses performing arts as a learning tool to develop skills in dance, theatre, voice and stage production, as well as skills in conflict resolution, personal storytelling, empathy, understanding, and leadership. Your donation helps to offset scholarships for our youth, artist fees for teachers, costumes, set pieces, supplies, and programming fees needed to administer our programming. Learn more about the City at Peace program. 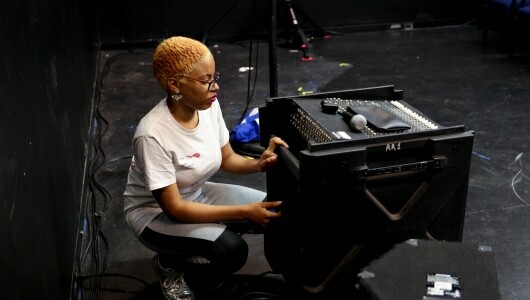 The Atlas Stagecraft Training and Apprenticeship Program (ASTAP) provides entry-level vocational training and work experience for technical theater and stagecraft personnel in the performing arts and event production industries. Training and apprenticeships are held at the Atlas Performing Arts Center, though occasionally some class sessions are held at alternate locations. Your donation helps to offset scholarships for our trainees, artist fees for teachers, supplies, and programming fees needed to administer our programming. Learn more about ASTAP. Arts for Young Audiences is where our family-based programming brings insightful and entertaining performances to our stages for youth and families alike. 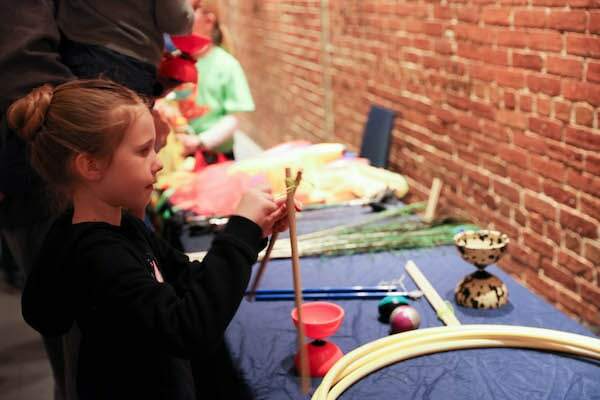 Arts for Young Audiences is an important part of our family programming at the Atlas. Shows are dramatically unique and are offered throughout the season. Each year, we partner with the DC Arts and Humanities Education Collaborative to provide field trips for free to thousands of DC Public School and DC Public Charter School children. We celebrate Arts for Young Audiences through our Family Fun Days programming during our annual Intersections Festival. Your donation will directly impact art making, helping to offset artist fees and production costs for all Arts for Young Audiences initiatives and presentations, as well as provide free tickets for field trips to children in our participating DC Public Schools and DC Public Charter Schools. 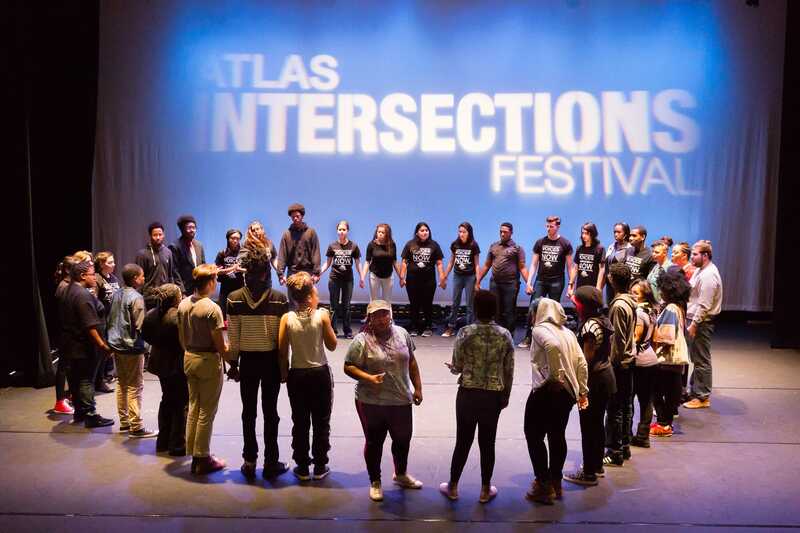 The Atlas’ signature Intersections Festival celebrates 10 years in 2019. The festival–a multi-week celebration of the arts–presents hundreds of artists on our stages in the genres of Story, Movement and Sound. Learn more about Intersections.